Welcome to Quaker Commons Condominium Development and 5934 W. Friendly Avenue, Unit L in Greensboro, NC! This condo has to be seen in person to appreciate the updates & charm for the price! At a great price, you get over 1,000 SF of home with laminate hardwoods, updated lighting fixtures, custom paint colors, private patio with a view & more! This property is move in ready and available today! Call for an appointment - either by calling 336-675-5597 direct or have your agent call 877-878-9777 today! Questions about 5934 W. Friendly Ave. Condo? 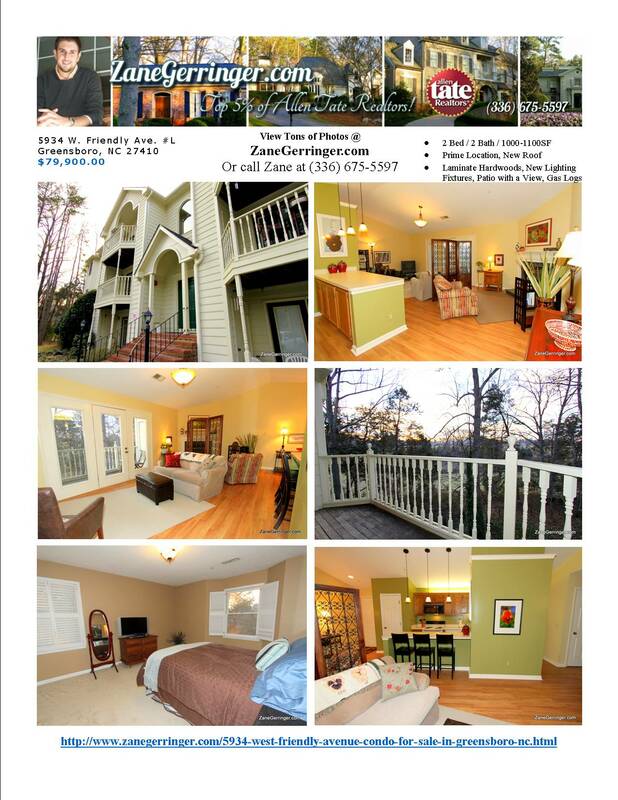 5934 W. Friendly Avenue, Unit L is marketed by Zane Gerringer of Allen Tate Realtors in Greensboro, NC.